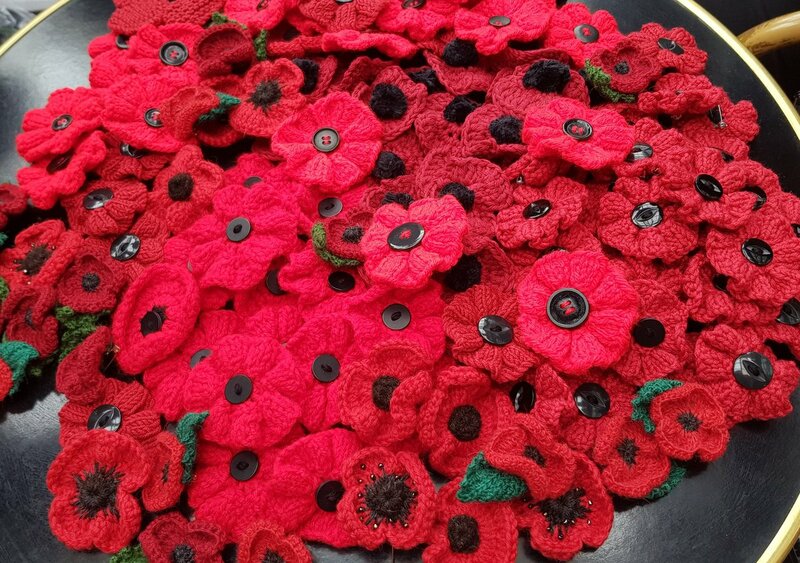 As Remembrance Sunday approaches and we mark a century from the end of World War One, knitted and crocheted poppies are spreading across the UK. 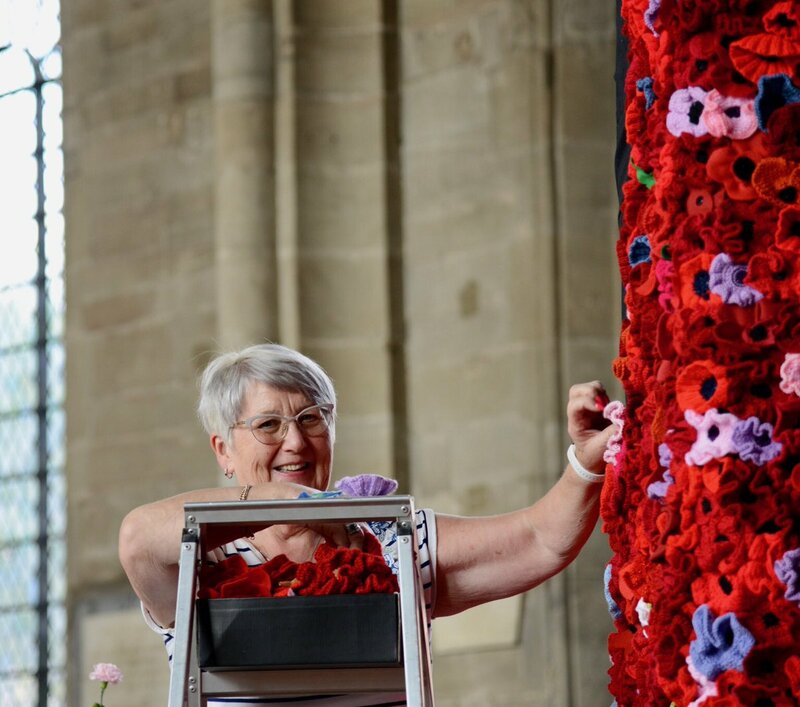 An impressive number of communities, churches and businesses have decided to mark the anniversary with swathes of hand craft remembrance poppies. 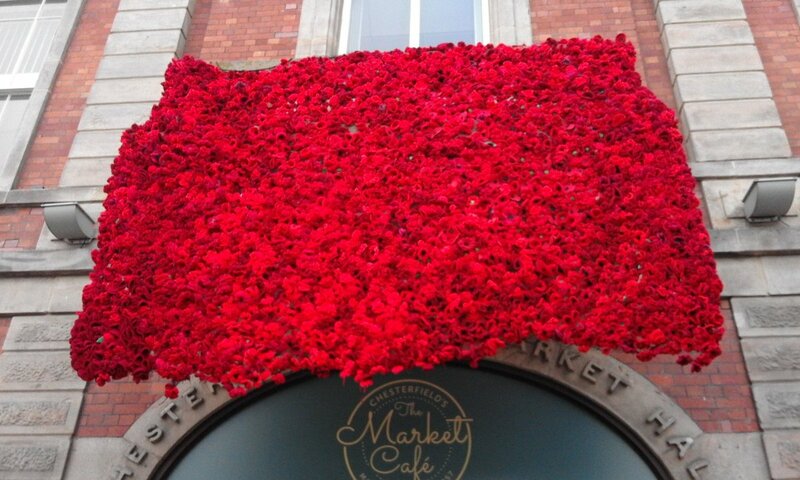 Creating the poppies and displaying them has brought people together which is a great way of marking such an important event. Here we are sharing some pictures we’ve seen from a few of these efforts. Over the next week we would like to be able to share more, so if you are involved in a poppy project please post a picture on our Facebook or Twitter pages so we fill our social media with your contributions.